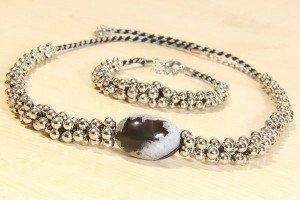 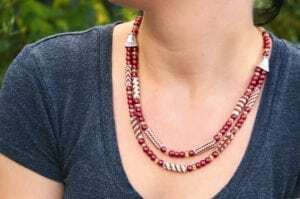 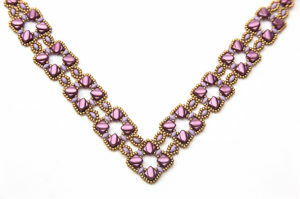 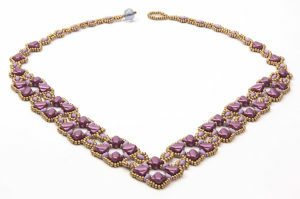 Our beautiful Damson Berkeley Square Necklace Kit is all the rage this Autumn! 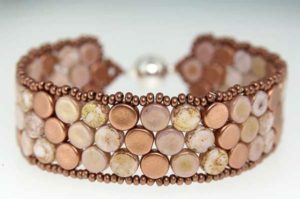 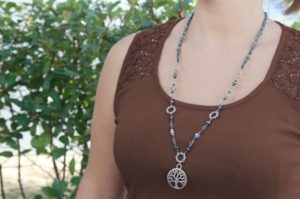 With geometric patterns and elegant design it is perfect to spice up any outfit, or makes the perfect gift! 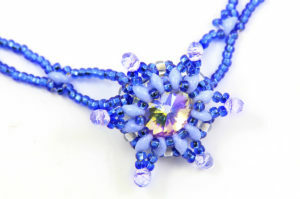 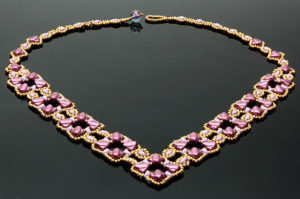 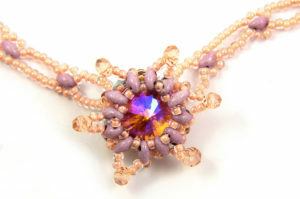 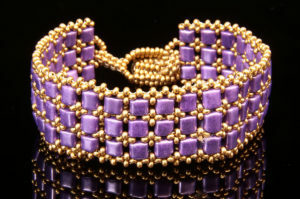 The Damson Berkeley Square Necklace Kit contains deep purple silky beads with complimentary lavender twins which are emphasised by the golden hue of the seed beads. The kit includes step by step instructions that guide you from start to finish, helping you create a beautiful finished piece of jewellery. 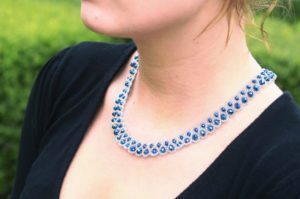 All of the elements included are made from high quality materials to ensure a stunning radiant finished piece.